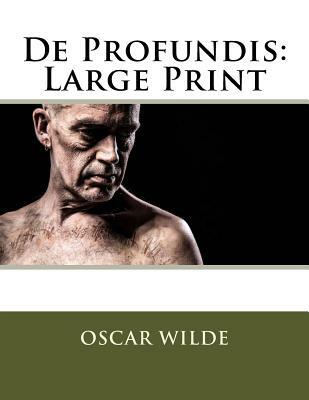 De Profundis: Large Print by Oscar Wilde Written while its unfortunate author was a prisoner in Reading Gaol, De Profundis contains what is probably the most sincere and personal expression of his peculiarly artificial and sensitive nature. He records his bitterness toward society on his downfall, his abject grief during his first months of prison discipline, and then the gradual growth of repentant spirit, and a courageous resolve to go out into the world and complete his artistic career. As a human document this work possesses unique value and interest, and the beauty of its style entitles it to a high place in the literature of the time. We are delighted to publish this classic book as part of our extensive Classic Library collection. Many of the books in our collection have been out of print for decades, and therefore have not been accessible to the general public. The aim of our publishing program is to facilitate rapid access to this vast reservoir of literature, and our view is that this is a significant literary work, which deserves to be brought back into print after many decades. The contents of the vast majority of titles in the Classic Library have been scanned from the original works. To ensure a high quality product, each title has been meticulously hand curated by our staff. Our philosophy has been guided by a desire to provide the reader with a book that is as close as possible to ownership of the original work. We hope that you will enjoy this wonderful classic work, and that for you it becomes an enriching experience.